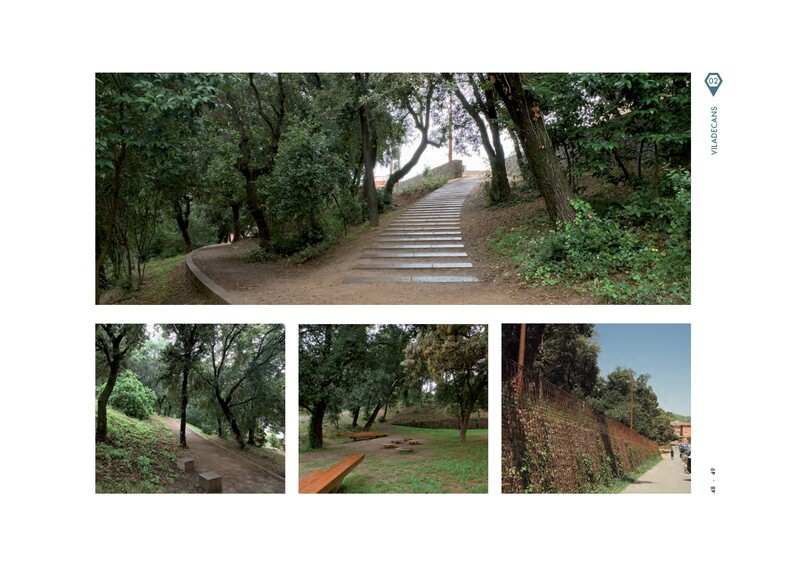 The last remaining wooded area in the urban grid of Viladecans called for a simple, sensitive intervention. Thedriving force of the project, from the preliminary drawings down to the construction details, was preservation of the area’s natural character and vegetation. 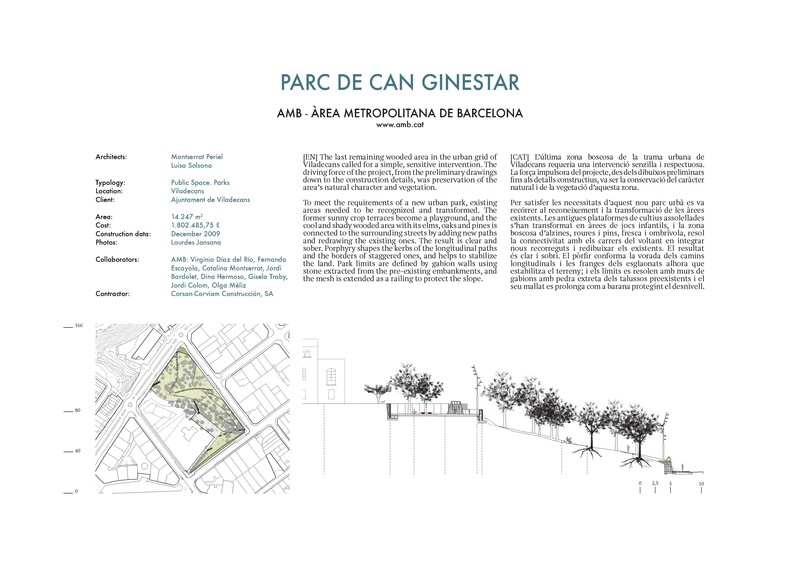 To meet the requirements of a new urban park, existing areas needed to be recognized and transformed. The former sunny crop terraces become a playground, and the cool and shady wooded area with its elms, oaks and pines is connected to the surrounding streets by adding new paths and redrawing the existing ones. The result is clear and sober. Porphyry shapes the kerbs of the longitudinal paths and the borders of staggered ones, and helps to stabilize the land. Park limits are defined by gabion walls using stone extracted from the pre-existing embankments, and the mesh is extended as a railing to protect the slope.